. Secretary: Brian Jones has taught elementary school grades for nine years, and has organized teachers and parents to challenge budget cuts, charter co-locations and high stakes standardized testing. Brian faced off against Michelle Rhee and Geoffrey Canada on national TV, and co-narrated the film, The Inconvenient Truth Behind Waiting for Superman. Historian Diane Ravitch has called his writing about public schools “brilliant.” Brian has contributed to several books on education, and to publications as diverse as SocialistWorker.org and the New York Times. 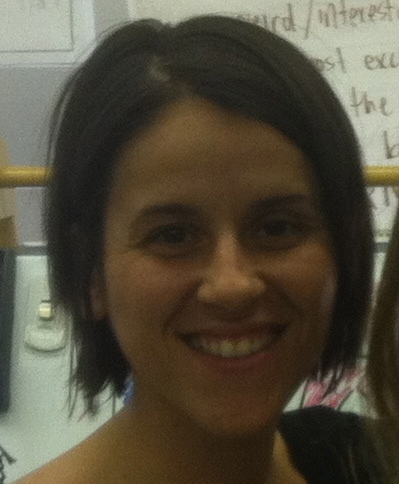 Treasurer: Camille Eterno has been an English teacher in New York since 1996. In her second year as a teacher, she was elected to be chapter leader at the Queens Gateway to Health Sciences. As chapter leader, Camille won grievances that even the UFT leadership said were not winnable. She helped organize her chapter into an activist force that was a major presence at many union rallies. As a leader in the Independent Community of Educators, she was instrumental in the nearly successful battle against the giveback laden 2005 contract. Camille developed a well deserved reputation throughout Queens High Schools as a chapter leader who was not afraid to stand up to management when they wrongfully abused UFT members. She is currently serving in her third term as a teacher delegate from Humanities and the Arts High School in Queens. Assistant Treasurer: Marissa Torres has been an elementary school teacher and a union activist since 2002. She taught ESL students in West Harlem where she served as Co-Chapter chair and organized teachers and parents to challenge budget cuts and co-locations. She now serves as a delegate for PS261 Brooklyn. She is committed to the fight for public education and is excited to be a part of a caucus that wants to build a broad social justice movement with parents, students, and teachers.